The origins of the town's name are uncertain, for some it derives from a Latin proper name "Callucius ", while for others, from "Calocero" (the antique name of San Calogero). It is a municipality in the province of Asti, located on a hill, richly cultivated with vines and fruit trees and is dominated by the enormous castle. Its secular production of DOC wines and gastronomic traditions have made the town and its countryside famous and appreciated world-wide. The first historical records on Calosso date back to 960 A.D. In the early XII century the town was part of the consortium of Acquosana. In the XIV century it was directly involved in the clashes between the Ghibellines and Ghelfi: the latter massacred the inhabitants and destroyed the entire town center, that only a few years later was sold to the banker of Asti, Roero. In 1387 it became part of the dowry of Valentina Visconti, and thanks to the latter's marriage with Louis of Orleans, it became part of the French territories for a century and a half. In 1642 the center was destroyed again and only at the end of the XVII century, the conditions for the development and prosperity were re-established. 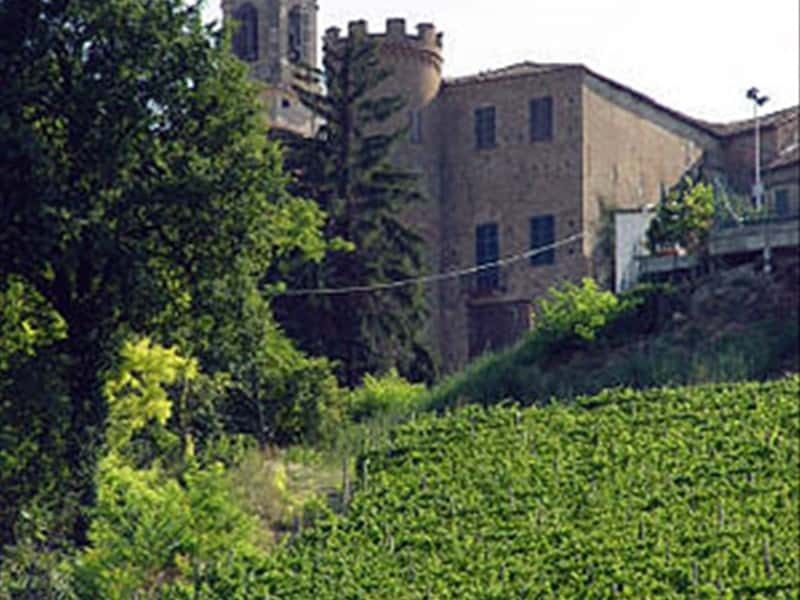 - the XIV century Castle, property of the Roero Family, responsible also for the restructuring in the XVII century. The current building has a completely different look to the original one, characterized by a cylindrical tower with battlements, a XVIII century portal and a lounge decorated with stucco work of the XVIII century. It is surrounded by a beautiful park. This town web page has been visited 28,384 times.